WHAT IS IT? Musical Math & Science CD that is special: The lively, math & science story-songs within are inspired by picture books (!) to introduce you to the concept that these little books can provide a multidimensional and powerful learning experience. WHAT IS IT? 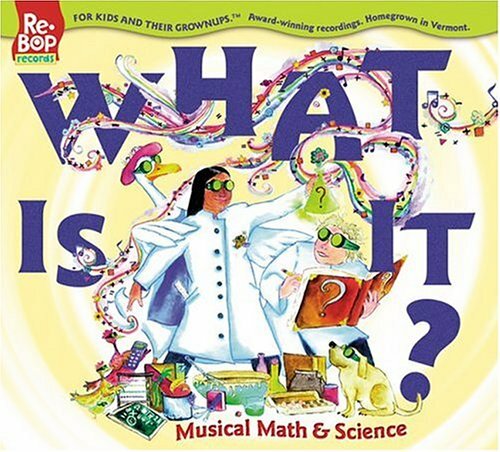 Musical Math & Science is national standards-based and features eclectic musical styles, wonderful kid and grownup performers, and a beautifully illustrated lyric booklet - all to delight children 3-7 and beyond. Re-Bop Records: For Kids And Their Grownups. Award-Winning Recordings. What Can You Learn (From A 300-Year-Old Goose)? 19-22 BONUS TRACKS: Instrumental versions of selected songs for you and your child to create & sing your own lyrics!